Trying to predict this tie is near on impossible. 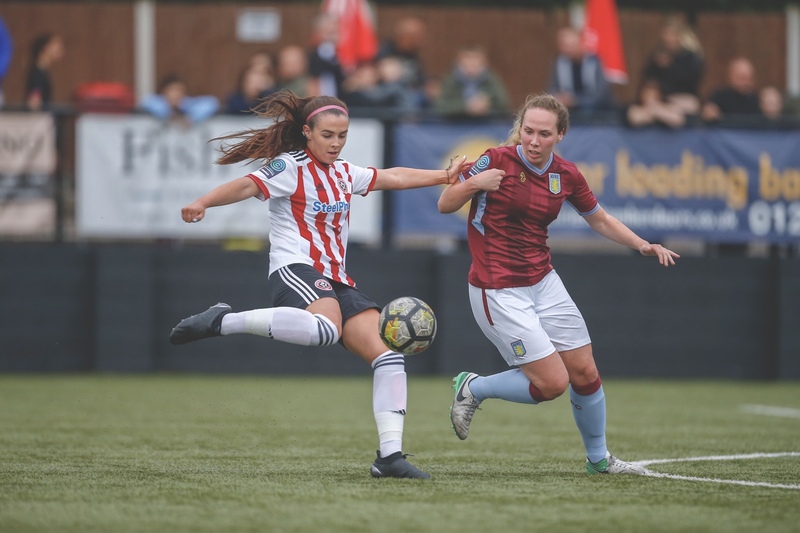 The sides sit side by side in the Women’s Championship with Aston Villa a point ahead but Sheffield United have a game in hand. This will be the fourth time the sides have met already this season. Sheffield won twice while Aston Villa have won the once with the aggregate score being 7-7. I feel that home advantage will tip this result in favour of Aston Villa. The most recent of their meetings was settled by a hat-trick and Player of the Match performance from Jodie Hutton. Jodie will be looking to continue her good form and will be a big threat on Sunday. In my opinion this is the most interesting tie of the round. In the red corner, you have Bristol City who have been performing well this season and haven’t lost since November. Including their spirited comeback to earn a draw with league leaders Manchester City. In the blue corner we have Durham. I have to confess, being from the other end of the country I knew very little about Durham prior to this season but I have been really impressed with them this year. December saw them narrowly going down 1-0 to Manchester United and beat the same opponents 3-0 seven days later. Since then they will have been disappointed to have dropped points when drawing with Aston Villa and Charlton Athletic. Durham know where the goal is and are happy to share the goals around. 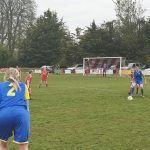 Top scorer Zoe Ness has ten goals so far this season and is closely followed by Elizabeth Hepple and Emily Roberts who have nine and seven respectively. They will have to be at their best in order to get passed Bristol City shot-stopper Sophie Baggaley. The keeper was been named the Women’s PFA Player of the Month for January. While Bristol should have enough quality to get through, if they are not all fully switched on then this is where the best chance of an upset will be this round. This is surely the glamour tie of the round and a match-up that would have been worthy of a Wembley final. Both sides are fighting hard to be there to pounce if Manchester City stumble. Arsenal are the top scorers in the WSL and much of that is thanks to Vivianne Miedema, my player of the season so far. 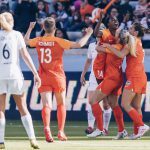 Miedema’s scored an impressive sixteen goals in only thirteen games. 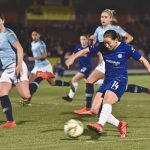 If Chelsea hope to get something from the game then they must keep Miedema quiet and be clinical themselves going forward. Based on Fran Kirby‘s high standards her goal scoring record this season has been poor. All bar Arsenal fans, we all hope that she can find her scoring touching as the business end of the season approaches, just in time for the FIFA Women’s World Cup. Millwall managed to upset to odds and pick up a win against Lewes in the last round. The tie was a tight affair but they managed to see off Fran Alonso’s side. Progression to the next round will be a much harder task! Liverpool had a difficult winter, winning and drawing just the once in nine games. 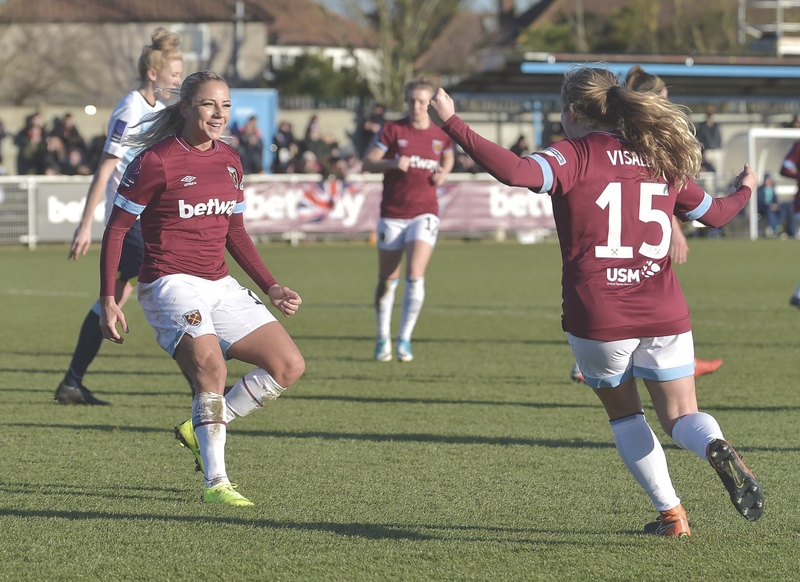 New manager, Vicky Jepson, seems to have found the winning formula as the Reds have won their last three games against Yeovil Town, West Ham United and MK Dons. 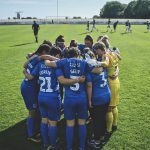 They will be going into this game believing that they can continue this run and push on and compete for a top half finish in the WSL. Picking a winner in this tie is going to be very difficult. 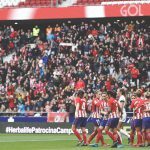 The home side have had a difficult start to 2019, they suffered hattrick of defeats to Arsenal, Chelsea and this weekend’s opponents, that game finished 2-1. 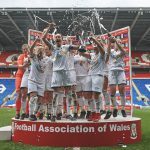 Reading thought they had saved a late point, only for a Meaghan Sargeant header to nick all the spoils for the hosts in their FA WSL clash in the Midlands. In January Marta Tejedor who was appointed as the Birmingham boss. She replaced Marc Skinner, who left Blues earlier in January to take over at American side Orlando Pride. 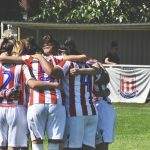 The former Atleti Femenino, Chile and Peru boss has had an impressive start to her reign at the club, in their last match they recorded a 3-2 win against title chasers Chelsea. 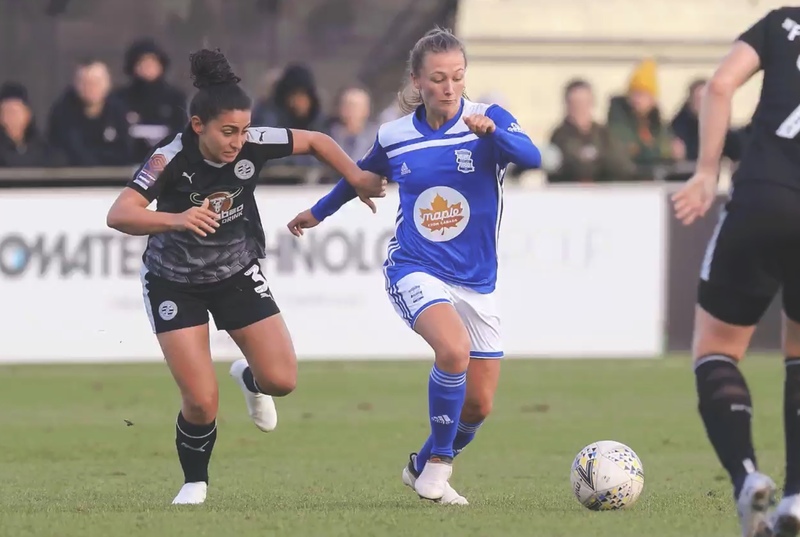 I am going to be going to watch this game and my head tells me that Birmingham should win this tie but I am hopeful that Kirsty Pearce and her teammates will have enough quality to see them progress in the competition. 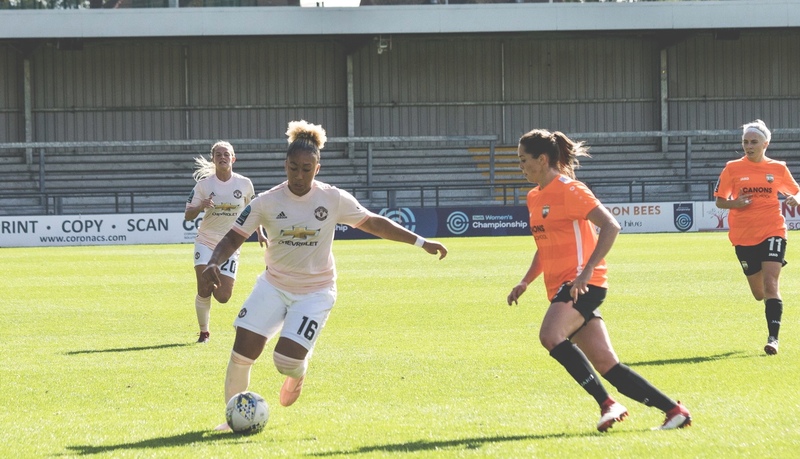 Manchester United sit in second place within the Women’s Championship, with London Bees ten points behind them in fifth place. 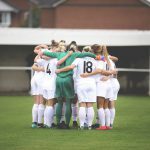 Manchester United progressed through the last round after beating Hope Powell’s Brighton and Hove Albion from the WSL although narrowly lost out to Arsenal in the Continental Cup Semi Final. London Bees overcame Leicester City Women 2-0 thanks to goals from Katie Wilkinson and Ruesha Littlejohn. This is the first time London Bees have reach this stage of the competition and while the FA Cup is famous for unexpected results, I can’t see Casey Stoney’s side losing this game. I expect the likes of Jess Sigsworth, Mollie Green and Lauren James to send their side into the next round. Many in the women’s game expected Manchester United to walk the Women’s Championship but Tottenham had other ideas. They are currently sitting top with a five point lead over the Red Devils. While Casey Stoney’s side have two games in hand, Spurs know that they have promotion in their own hands. 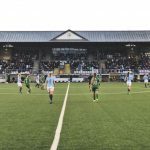 Getting a win against the blue side of Manchester will be a daunting task but they will be looking forward to testing themselves against one of the best teams in Europe. I expect Manchester City to name close to the strongest side available as they will be looking to avoid a slip up in their quest for a league and cup double. If I were a betting man then I’d be putting my money on Nikita Parris to score in a City win. Huddersfield Town are the sole representative from the National League. Blackburn Rovers are by far and away the strongest side in the National League but the Terriers are the best of the rest and sit above other strong sides including Fylde, Sunderland, Stoke City and Derby County. Brittany Sanderson and Kate Mallin have contributed thirty-nine out of their eighty goals so far this season. Huddersfield come into this off the back of a superb comeback win against Charlton Athletic. Huddersfield found themselves 3-0 down in with just 15 minutes left but pulled off a miraculous comeback to win 4-3 in extra time.